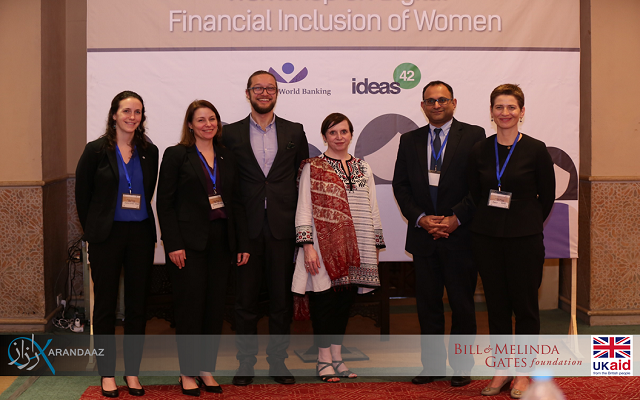 Pakistan’s foremost agency for promotion of financial inclusion and access to finance, Karandaaz Pakistan held a half-day workshop to deliberate on ways to promote and expedite the process of women’s financial inclusion in the country. Karandaaz Holds Workshop to Mull Ways to Foster Women’s Financial Inclusion. Karandaaz Pakistan is provided institutional and financial support by the United Kingdom’s Department for International Development (DFID) and the Bill and Melinda Gates Foundation (BMGF). The workshop was sponsored by BMGF and attended by representatives from The International Finance Corporation (IFC), Khushhali Bank, FINCA Bank, Pakistan Telecommunication Authority (PTA), FinSurgents and various other players in the financial inclusion space. Guest speakers from international promoters of financial inclusion, Women’s World Banking (WWB) and ideas42 shared global experience and learning from the financial inclusion of women. Pakistani women constitute about 51 percent of the total population of the country but as per World Bank statistics, only 5 percent have a bank account. Guest speaker, Anna Gincherman, Chief Product Development Officer WWB apprised the participants about a number of successful and effective financial products that work for the financial inclusion of women around the world. Alex Blau, Senior Associate ideas42, spoke about the integration of design thinking into digital financial products and services for women.